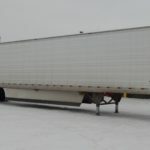 Fold-Away Hydraulic Beaver Tail Trailer - Kingpin Trailers LTD. Trail King’s Advantage Hydraulic Sliding Tail (HST) trailer has become the “go to” choice for hauling professionals who are looking for dependable load-hauling strength, durability, and versatility. The HST features a low load angle, greater payload capacity and stability, more corrosion protection of critical components, and smoother, more precise operation. The Trail King Advantage HST… destined to be the best sliding tail trailer you’ll ever own. internal maintenance or repair simply by loosening four bolts. 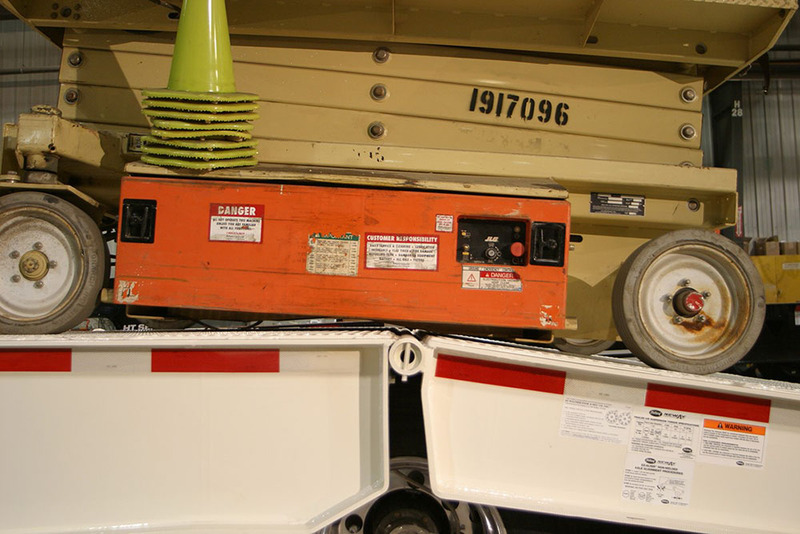 A protective panel on the under-side of the gooseneck shields the hydraulic valves from road grime and debris, resulting in reduced maintenance and longer life. And to prevent cracking and provide extra strength, the gooseneck is reinforced with a half-moon gusset and a brace that runs the full depth of the beam. damage to the flange, a common problem in offset designs. seams from rust. Then the entire trailer is primed and painted with a two-component polyurethane primer and paint before decking is installed for complete protection from the elements – even in places you can’t see. king pin). Winch guard and 65′ cable with locking safety hook are also standard. that the upper deck ramp stays in place during loading, even if the hydraulics should fail. With wheels moved forward, the tail can be lowered to a 10° load angle. 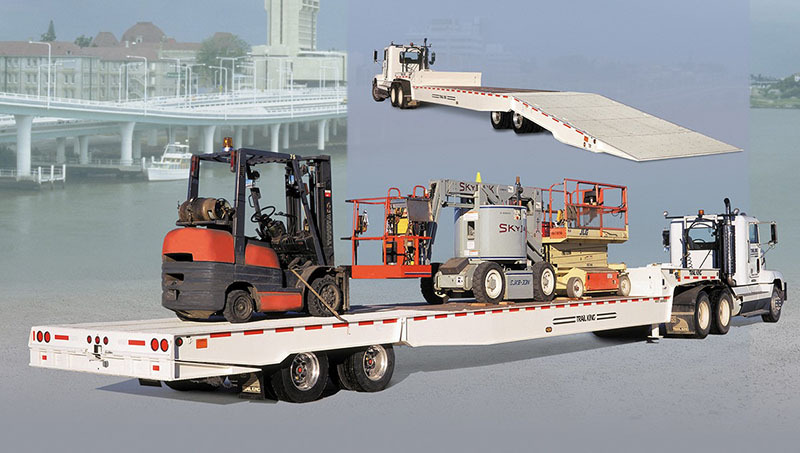 The resulting transition from the tail to the deck at the hinge point allows low ground clearance equipment, such as scissor lifts and manlifts, to be loaded with ease. when the trailer is moving. 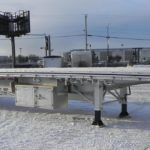 Special flexible track encases and protects traveling air and electrical lines from pinching or abrasion that could lead to premature failure. The HST features rubber-mounted, shock-proof, sealed lights and rubber grommets wherever wiring runs through the frame for a longer, trouble-free, low-maintenance performance life. 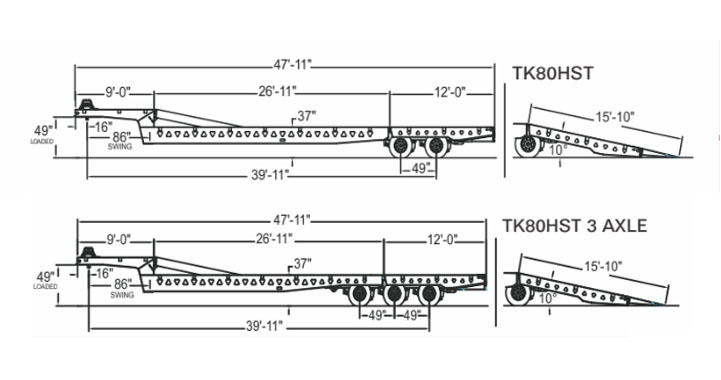 Two outside I-beams provide the extra strength necessary to prevent “peeling off” the edge of the ramp during loading. Ten formed beams in between provide solid support across the whole width of the approach plate. When the trailer is in the transport position, the flip tail cannot settle to the ground – even in the event of hydraulic failure – thanks to the automatic flip tail lock. Capacity: 80,000 lbs uniform / 50,000 lbs in 10 ft.